Soon after I learned that Hungarian, now transplanted to Scotland, Thy Catafalque had issued another album I came across a very brief 2-paragraph write up about Sgurr, saying that it was “weird” and “acquired taste”. Katai Tamas creation may not be for everybody and is definitely not mainstream or typical, but as far as “acquired taste” goes, I believe Thy Catafalque is an undisputed champion of our site, every album covered extensively beginning with Tuno Ido Tarlat. So, as far as the MetalReviews taste for Thy Catafalque goes, I’d say we are aficionados. I do not have an exact chronology when Tamas moved to Edinburgh, happened a few years ago, but Sgurr was written with him firmly implanted in Scotland and probably visiting Hungary on short visits. 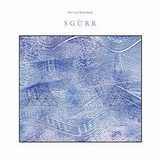 As it is, the album tries to connect Scottish highlands with Hungarian lowlands, and apparently either locale, or both, elicit a lot of intense emotions in Tamas, as Sgurr is probably the most forceful album in Thy Catafalque discography to date. Intentional or not, Sgurr has a sort of axis of symmetry. It is bookended by two short narration/soprano pieces, and just inside those goalposts, close to beginning and the end, there are two large monumental compositions, Oldódó formák a halál titokzatos birodalmában and Sgùrr eilde mòr. Since Sgurr is not heavy on vocals, I sought the understanding of the narration in the opener Zugo, and used my newly formed Hungarian connections to translate it as “Matter never stays completely still, like a peaceful dynamo it buzzes lightly. And for billions of years it carries in its vibrating cavities the simple, clear beat. And whoever hears it once, will always hear what the mountains and the waters are telling“. Can you say, this sets the mood and predisposition? After such a profound philosophical comment Oldódó formák a halál titokzatos birodalmában is preceded by spacey Alföldi kozmosz, but it has a nervy guitar/violin interplay which makes the composition feel a little on edge. It is Oldódó formák a halál titokzatos birodalmában, however, with begins to ratchet darkness and anger, even by the end of its 1st minute. There are still trademark Thy Catafalque atmospherics mixed in, but the industrial bristling side is piled on unrelentingly, spurred on by percussion rolls. The booming bottom, the exploding noisy guitars just squeeze the lid in, the whole of Oldódó formák a halál titokzatos birodalmában is actually closer in sound and intent to Gire, Tamas’ other band, and maybe that is why there is a presence of some guest musicians from that outfit on Sgurr. Suffice it to say, the underwater cave dance of Neath Waters from Tuno Ido Tarlat is not coming any time soon, and Oldódó formák a halál titokzatos birodalmában will instead plumb the depths instead. Even when tempo subsides, the low frequencies and slicing guitars are only a prequel to the end full of frozen keyboard waves and squealing violin. If booming industrial tempo symbolizes mountains and frozen synth stands for water, then the former is extremely intimidating and the latter is not friendly lapping waves, but some harsh cold matter intent on causing hypothermia. There are a few pieces in the middle of Sgurr I could call the album’s soft core. A hajnal kék kapuja makes for a quick track through some dark folky hardship, and Él? lény, although still possessing some native motifs in it, can’t sit still, is restless, jerks from side to side before ending up with the Sigh-like 70s keys. Jura though does not hesitate a bit, blasting and crashing in anger, showing how chaos can win. It is still only a prelude to Sgùrr eilde mòr where anger and devastation reign on Anaal Nathrakhian scale. I don't recall Thy Catafalque ever to be as evil-possessed as it is on Sgùrr eilde mòr. Even its slower tubed out sections sound cacophonous. Definitely the most hurtful the band has ever been, to me Sgùrr eilde mòr presents dissolution of hope. Having put my own feelings on Sgurr into perspective I might forgive somebody new to the band being confused on this album. I, personally, would not recommend you start with Sgurr if you are trying to acquaint yourself with Thy Catafalque. The tone of the album is rejectionist and bristling, not the fluid folk-flavored atmospherics buttressed by harsher rhythms, like many of its previous works. The unique and avant-garde approach are obviously there, but as Tamas so adequately put it, the things are just “more metal” this time around. It would be interesting where the next Thy Catafalque journey goes.